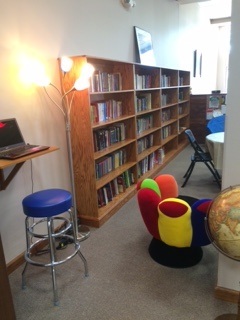 With the help of our generous patrons and a grant from the Cass County Community Foundation we were able to update and revamp our tween/teen area. You the patron have helped us to purchase the two colorful mitt chairs, medusa lamp, stool and wall desk. 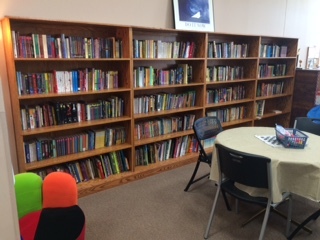 With the grant we received form the Cass County Community Foundation we were able to build the large bookshelf shown as well as a couple of bookshelves that are still being built. Those shelves will be in the Children's section! Stay tuned for progress pictures as they become available!